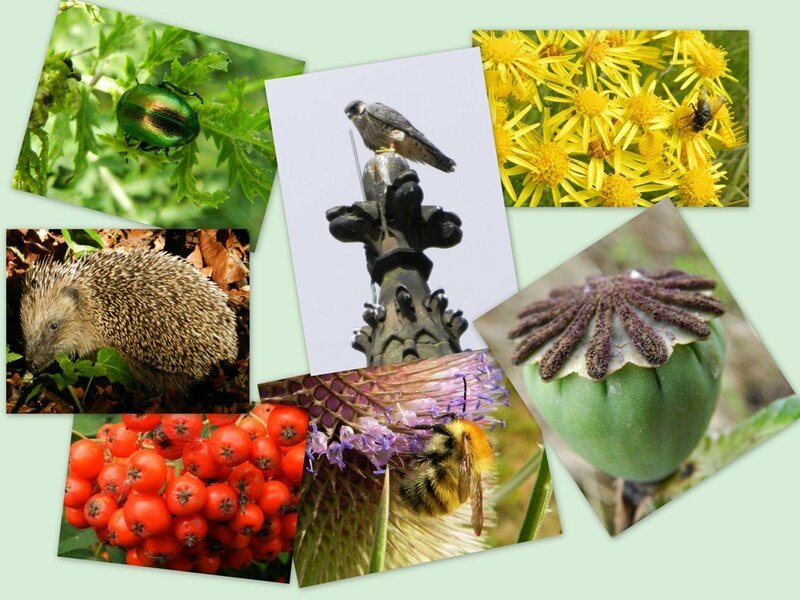 Yesterday Katharine posted a collage of her Facebook nature challenge shots. Not surprisingly, I was one of those she nominated to continue the challenge, so here are my seven shots. Four of these shots may appear familiar to some of you, since they have appeared previously in our 365 project, while the rest were taken specifically for the challenge. As you said, some are familiar, others not so much. Wonderful collage. I loved Kathrine's collage and I do love yours. the hedgehog andperegrine falcon go well with the other shots. fav, as well. Fantastically presented collage. Love the hedgehog and the bird of prey. Fav. Thank you all for your lovely comments and favs on this collage, and for the comments and favs on my earlier shots while I've been away. They are all very much appreciated. The shots that have appeared previously in our project are the tansy beetle, the bee, the peregrine falcon and the yellow flowers with the fly on them.